The patient tells his story with his hands, postures and facial expressions: a rapid-fire set of movements that he uses to explain to his physician that he has continued post-surgical pain in his right foot, believes he is no longer able to work in a factory because of the pain, and fears living in isolation because he has so few people with whom he can communicate. In the past, that feeling of isolation followed him to his doctors’ offices. He would try to understand what the physician was saying to him, always through an interpreter. Sometimes the conversations went smoothly, but, more often, misunderstandings arose. Misunderstandings that led to confusion about one of his previous surgeries and made him wary of the entire medical community. 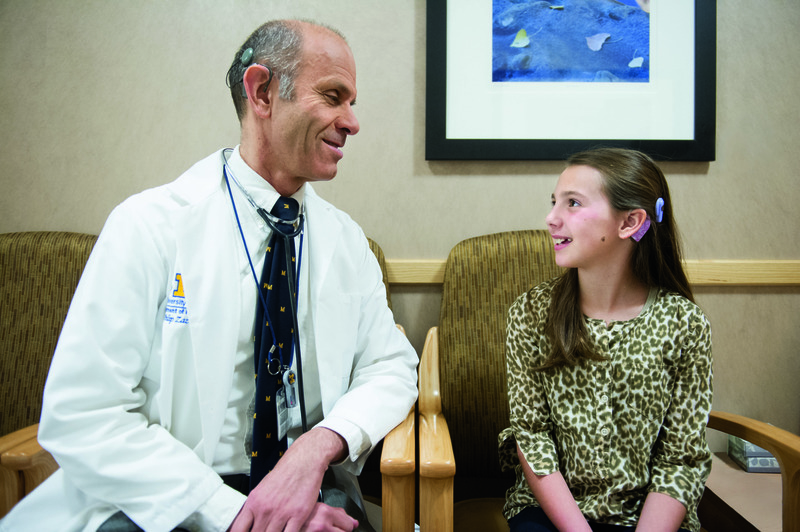 But on this day, the patient could not be happier with the care he is receiving from Michael McKee, M.D., assistant professor of family medicine and medical director of the Michigan Medicine Deaf Health Clinic at the Dexter Health Center. “Dr. McKee really understands. I can talk right to him,” he said through a medical scribe who also communicates in American Sign Language (ASL). McKee’s fluid and fluent signing has developed through a lifetime of communicating with ASL and being part of the Deaf community. He has bilateral profound sensorineural hearing loss and uses a combination of a behind-the-ear hearing aid and a cochlear implant. Philip Zazove, M.D., with a young patient. 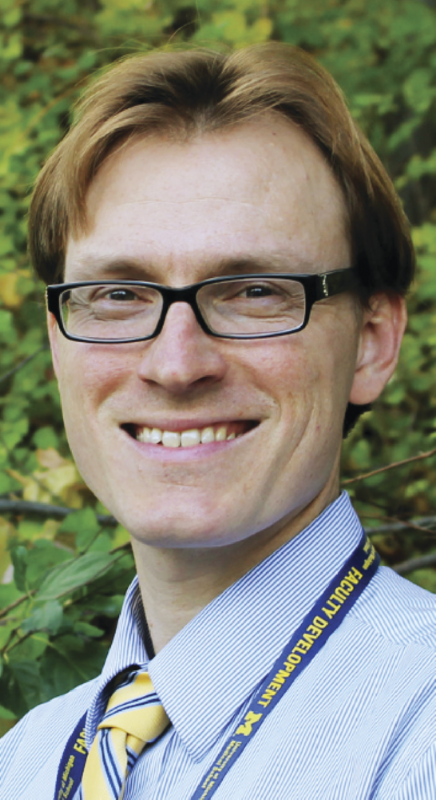 The Deaf Health Clinic is led by McKee and also includes Philip Zazove, M.D., the George A. Dean, M.D., Chair of Family Medicine, who is Deaf. 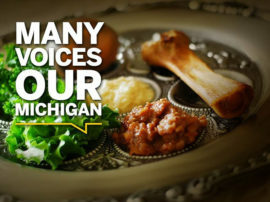 The clinic is providing a vital service to patients from all over Michigan. More than 100 Deaf patients, and many others who are hard-of-hearing, go to the Deaf Health Clinic to receive accessible care, most for the first time in their lives. They are just a fraction of the millions of people in the U.S. who have significant hearing loss. The clinic is just one element of Michigan Medicine’s inroads in the treatment of patients with disabilities, from deafness to mental health issues to paralysis. U.S. Census Bureau data show that one in five Americans has a disability, and barriers to quality health care arise at every turn: accessibility of physicians’ offices, narrow parking spots, hard-to-read signage, conversations with health care providers and more. 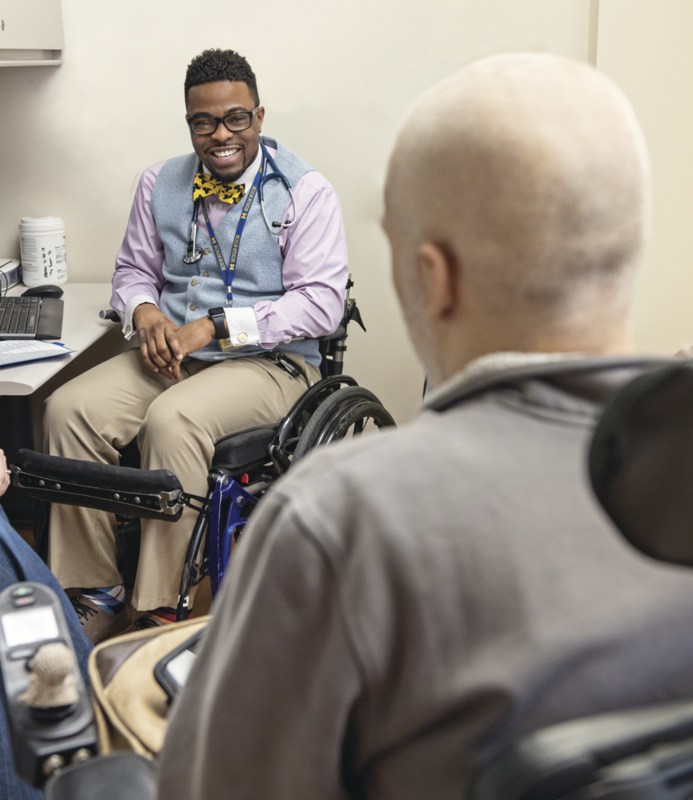 Progress in clinical and research settings is occurring throughout Michigan Medicine, particularly in the Department of Physical Medicine and Rehabilitation and the Department of Family Medicine — thanks in no small part to physicians who themselves have disabilities. 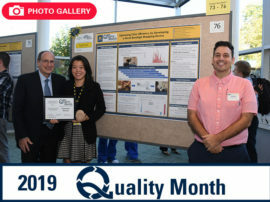 The U-M Medical School is also being recognized for its efforts in improving experiences for students with disabilities and their classmates by providing them a more inclusive perspective. Feranmi Okanlami (M.D. 2011) — now an assistant professor of family medicine and of physical medicine and rehabilitation — never thought, “I can’t be a doctor now.” Anyone who has met Okanlami knows that giving up is not on his jam-packed to-do list. The former Stanford track All-American was in the third year of his orthopaedic surgery residency at Yale when he attended a Fourth of July pool party in 2013. He jumped into the pool — just a jump, not a fancy dive or backflip — and the impact of hitting the bottom or side of the pool, or possibly someone’s leg, left him immediately unable to move anything from his chest down. Okanlami began to see that he would have an opportunity to demonstrate that having a disability doesn’t mean people can’t achieve their goals. He grew exhausted from inpatient and later outpatient rehabilitation near his home in South Bend, Indiana, but he never slowed down. Each day, with every assisted step on the treadmill, every range-of-motion stretch, every turn on the stationary bike, every surgery, he slowly learned to walk again. He transitioned to the family medicine residency program at Memorial Hospital in South Bend, where he reveled in the scope of the work. In 2018, he joined Michigan Medicine., where he’s also taken on the role of director of medical student programs in the Office for Health Equity and Inclusion (OHEI). He has adopted a catchphrase — “disabusing disability™” — on social media and beyond, with the intent of demonstrating that being disabled doesn’t mean one is unable. One of those physicians has been a mentor to Okanlami: Karin Muraszko, M.D., chair and Julian T. Hoff, M.D., professor of neurosurgery, who has spina bifida and uses a wheelchair. 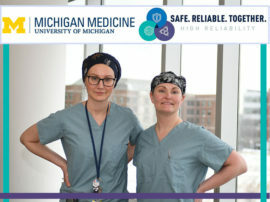 Muraszko, a legend at U-M and the wider medical community, also is the first female chair of neurosurgery in the country. “I think parents of my patients see hope, see possibility, because they have met someone with a disability who is their physician,” she said. When Molly Fausone and Chris Connolly applied to medical schools, they knew from the start that not all application processes were equal, and that not all schools would welcome them. They both discovered that many programs had technical standards requiring students to perform physical tasks such as lifting a patient. Fausone and Connolly both use wheelchairs due to paralysis in their legs, so this simply wouldn’t be possible. Fausone found U-M to be welcoming and encouraging. 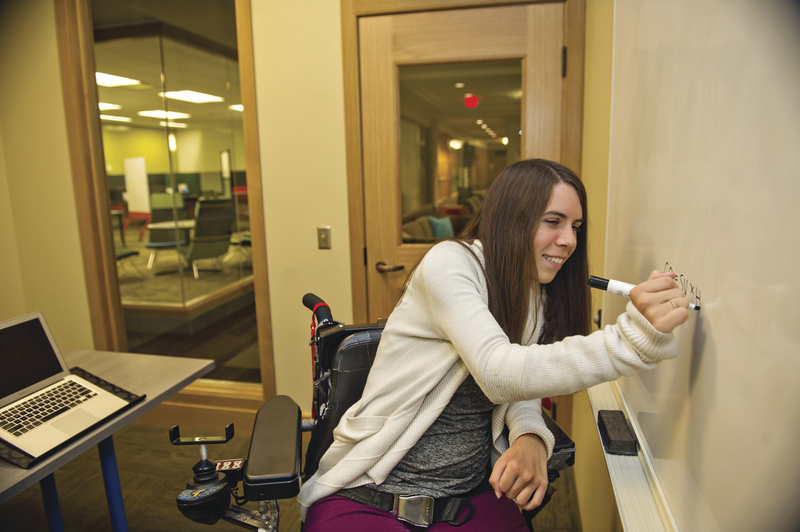 Connolly applied after the school revised its technical standards in 2016 to include students with a physical disability or functional limitation, as long as alternative or supplemental means can help them learn the required hands-on coursework. In addition to physical and chronic health disabilities, the school can accommodate students with learning disabilities (such as dyslexia), mental health conditions (such as anxiety or depression), and ADHD by offering extra time on exams or a testing environment with limited distractions. Not all disabilities are physical. Rahael Gupta, now an M4, had always thought of herself as optimistic and fun-loving — until her depression grew so debilitating that she contemplated stepping in front of a bus. The incident prompted her to take a seven-month break from medical school to receive therapy and medication. She did not know, however, how much of her personal story she should communicate in explaining her résumé gap. Many well-meaning faculty members suggested she vaguely cite health problems. 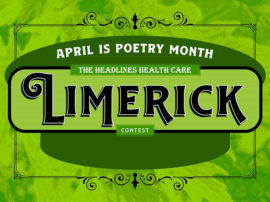 Gupta’s experiences inspired her to create a project and accompanying video called Physicians Connected, which encourages an open discussion in the medical community about mental health conditions among students and practitioners. This story first appeared in Medicine at Michigan. Click here for the full-length feature.